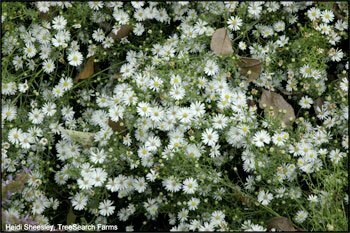 An extraordinary aster! 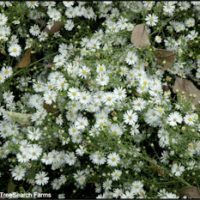 Forms a 3′ x 3′ absolute cloud of tiny white flowers for months in the fall. A stunning show stopper in any landscape or cascading out of a beautiful container. Tough once established. Sun to light shade. Moist, well-drained soil. Butterflies!